15th August 2018 would go down as a landmark day in the history of Bollywood. Though there have been quite a few clashes in the past, majority of these have been one sides. However, there have been few where both films have turned out to be successful. Still, hardly a couple of such clashes have resulted in over 30 crore coming on a single day whereas rest have all been between 20-25 crore at best. Not anymore though as both Gold and Satyameva Jayate have turned out to be ultra huge on their release, and their combined collections have resulted in an outstanding 45.77 crore coming in. Both films opened really well and it was a carnival like atmosphere in theaters across the country, as the footfalls were steady in multiplexes as well as single screens, and that too in A, B as well as C centers. 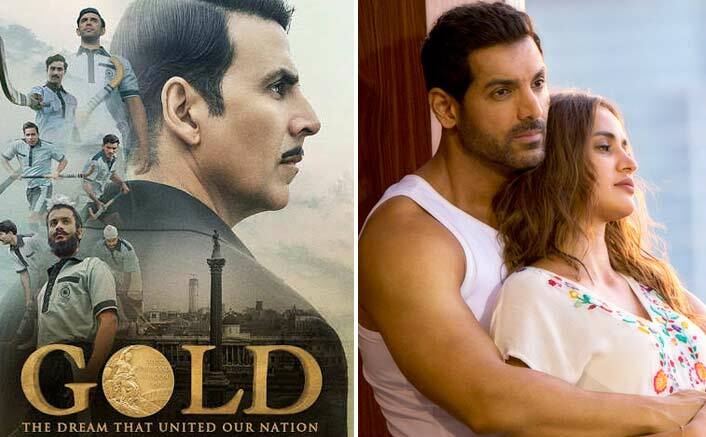 Gold & Satyameva Jayate Clash Help Akshay Kumar, John Abraham Deliver Their Best – Here’s How! Each of the films in the aforementioned clashes turned out to be successful with Mohenjo Daro been the only exception. There have been some other clashes too that resulted in big numbers on a particular day. These are Golmaal Again v/s Secret Superstar and Bang Bang v/s Haider. However the numbers were pretty much lopsided and that too in favor of the first mentioned film, as a result of which these can hardly be termed as an advantageous position for either of the two films. The post Box Office: Bollywood Gets Its BIGGEST Day Ever On A Clash As Both Gold & Satyameva Jayate Take Superb Opening appeared first on Koimoi.